The "hybrid course," sometimes used interchangeably with the term "blended learning," indicates a model of course design that combines in-class teaching with self-directed online learning (Allen, Seaman & Garrett, 2007). This instructional method allows students to learn at their own pace and have more opportunities to practice and apply newly gained knowledge in classes. When an instructor attempts to develop a hybrid course, there are two major elements they need to prepare: (1) in-class activities and (2) online learning materials. Since digital learning is relatively new, for some faculty, designing online learning materials is more likely to be difficult in comparison to developing in-class activities. The first challenge that they face is digital content representation: namely, how to effectively present learning content to students in online settings. Among various types of instructional technologies, screencasting is one of the popular and effective methods for delivering content within online learning environments (Mestre, 2012; Lloyd & Robertson, 2012). A screencast is largely the product of recording video of screen output, so it is also known as a video screen capture (Patton, 2015). Instructors start with a script or a storyboard and then record audio narration with digital presentation tools such PowerPoint(TM) to project learning content on the screen. While preparing screencasts, it is important to carefully consider the relationship between the audio and the visual information. According to multimedia learning principles, instructional content using multiple modes that include visual and auditory information can facilitate knowledge construction (Clark, & Mayer, 2016; Moreno & Mayer, 1999). When all instructional materials are ready, instructors need a tool to start producing the screencast videos. Camtasia, which is made by TechSmith, Inc., is one of the simple video editing tools for creating screencasts by using a screen recorder to record visual content on computer screens and audio captured on a computer's microphone. The learning curve of this software application is not steep and is manageable. Educators can use this software tool to quickly create their own self-produced screencasts for hybrid courses. Camtasia also provides some features that promote active learning to help students engage while watching the videos. It facilitates student’s self-paced learning which prepares fundamental knowledge/skills for in-class activities. The following sections will introduce these features and discuss how to apply them into screencast production to produce more effective screencast videos to support a hybrid course. The general stages of screencasting production includes Prepare, Record, Edit, and Render (Sugar, Brown & Luterbach, 2010). For producing a basic screencast, instructors will likely go through these four steps and focus mainly on content accuracy. Fine-tuning edits for audio and video may be implemented here. With these editing features, instructors will at least produce a good but basic screencast that leans towards passive learning. 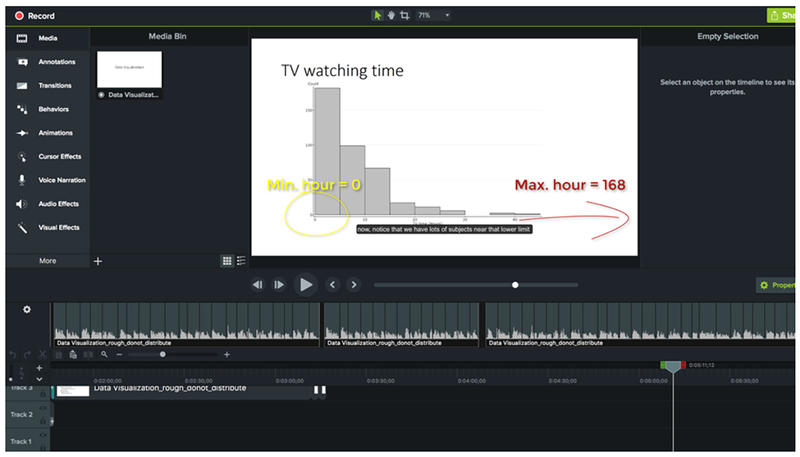 In order to improve the quality of a screencast and support active learning, this article will introduce some advanced editing functions in Camtasia that allows instructors to produce more engaging screencast videos. 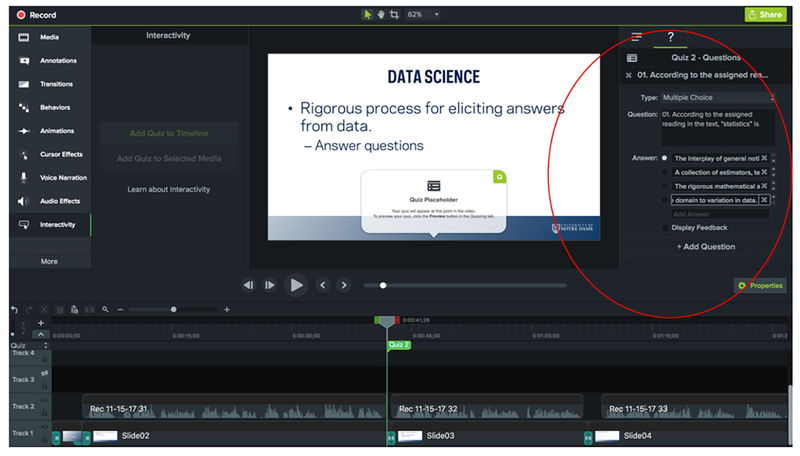 The advanced editing features in Camtasia, which are zoom-pans and callouts, help instructors to control the visual to focus attention and elaborate on visual content. The change of camera angles can help emphasize the context on-screen to help students learn the content. The use of callouts (see Figure 1), similar to course notes, assist students in focusing on the critical parts of the instructions. Hotspots are commonly used in multimedia products. In Camtasia, instructors can apply this interactive feature to provide additional information from external resources to further explain some key concepts. Interactive task oriented hotspots also allow students to link to any internal video sequence (see Figure 2). Students can select which parts of the content they want to review based on individual needs. This interactive screencast fits the goals of self-paced learning to provide students with a free choice for learning content and self-control at their learning pace. Camtasia allows instructors to incorporate questions directly into video and to give feedback based on student answers (see Figure 3). Adding these quizzes and knowledge checks to screencasts turns the video into interactive e-Learning material. According to research-based principles of multimedia learning, when giving students room for reflection, they will learn deeply and maintain attention during the learning process (Moreno & Mayer, 2007). The design of hybrid course requires integrating digital technology into conventional teaching-learning environments to promote active learning. A screencast is one of the popular content representations for self-learning in this type of course design. However, the basic screen capture with audio narrations is insufficient to motivate students to retain a high level of engagement in the learning process. 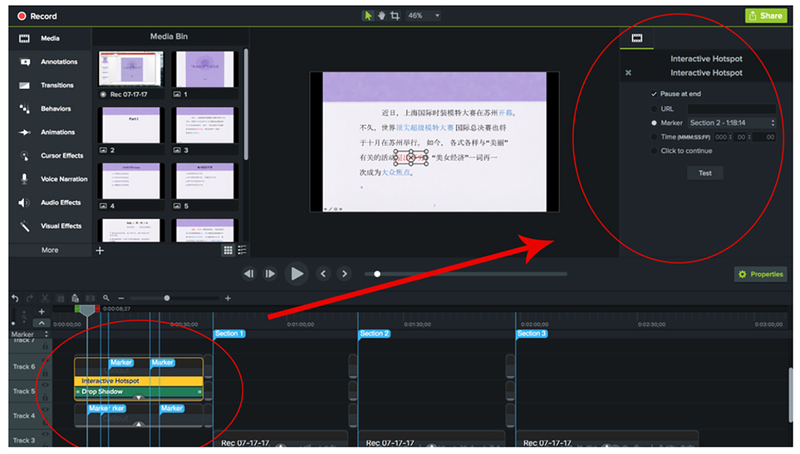 To better support learning in a hybrid course, this article introduces some advanced editing features in Camtasia to turn basic screencasts into more interactive and interesting multimedia instructions. Any enhancements that are implemented in a screencast may elevate engagement as students prepare the knowledge/skills needed for in-class activities. Once students are familiar with the content, they will be able to apply the information and actively participate in any follow-up learning activities in the classroom. Allen, I. E., Seaman, J., & Garrett, R. (2007). Blending in: The extent and promise of blended education in the United States. Sloan Consortium. PO Box 1238, Newburyport, MA 01950. Lloyd, S. A., & Robertson, C. L. (2012). Screencast tutorials enhance student learning of statistics. Teaching of Psychology, 39(1), 67-71. Moreno, R., & Mayer, R. E. (1999). Cognitive principles of multimedia learning: The role of modality and contiguity. Journal of Educational Psychology, 91(2), 358. Sugar, W., Brown, A., & Luterbach, K. (2010). Examining the anatomy of a screencast: Uncovering common elements and instructional strategies. The International Review of Research in Open and Distributed Learning, 11(3), 1-20. 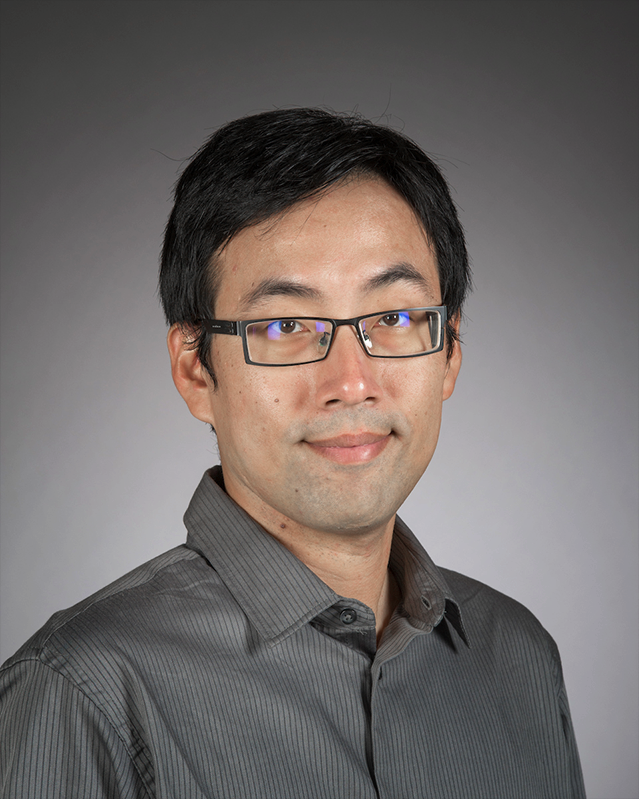 Dr. Kuang-Chen (Kuang) Hsu is a Learning Designer at the Office of Digital Learning, University of Notre Dame, which he joined in 2016. Here, he collaborates with faculty to develop innovative and effective digital learning content to enhance the learning experiences. Hsu earned a Ph.D in educational technology from the University of Kansas. His research involves the investigation of student emotional responses with technology in digital learning environments. Areas of specific interest include digital game-based learning and human-center design in educational applications development. His email is khsu1@nd.edu. Discussion of "Making Effective Screencast Videos with Camtasia to Support Hybrid Courses"
Version 10 id 1542435 of this page, updated 05 January 2018 by Rebecca Gould. Created by Shalin Hai-Jew.